One of the reasons that using third-party vendors and other staffing companies is attractive to businesses, is that they were able to shift legal responsibilities elsewhere. Needing manpower didn’t require concern for worker protections, including workers’ compensation, proper training, or other benefits. Businesses were able to quickly and efficiently get staffed without worrying about employment and labor laws. Things are about to change in California. The contractor model has been under scrutiny for years and many courts agree with the criticism. In 2015, businesses and contract vendors will be held jointly liable for any employment law violations. In June of 2014, the Ninth Circuit rejected an independent contractor agreement that made Georgia the venue, finding that the contract was in fact an employee under California law. Later in the summer, the California Supreme Court opened the door for more plaintiffs to gain class action certification in contractor misclassification disputes. Another Ninth Circuit decision overturned a lower decision, and reclassified hundreds of delivery drivers as employees. All of these decisions and regulatory shifts have made it clear that the contractor-model is under scrutiny and businesses may no longer be able to shield behind misclassification. The difference between an employee and a contractor primarily turns on the duties and amount of responsibility given to the individual worker. Many contractual arrangements require workers to sign away their rights as an employee, even though they should have rights to benefits and other protections. A new California law, effective in 2015, will force contract vendors and businesses to start ensuring collaborations and compliance, as both will be held liable in the event of any wage and hour or other violations. The new regulation is critical to protect workers’ rights in an era where third-party contracting companies benefit companies, while exploiting workers without adequate benefits and pay. The law goes into effect January 1, 2015 and creates statutory joint liability for all third-party labor contractors and their clients. If companies or vendors fail to meet minimum wage or other requirements, including workers’ compensation, both will be held accountable. This includes providing workers’ compensation benefits if the work is ‘within the usual course’ of the client’s business and performed at the worksite. For employees, the statutory shift provides additional protection, giving workers the right to file a claim against both the third-party vendor and the business client. In the event that a worker alleges the contractor failed to pay wages or violated another labor requirement, both the contractor and the company can be held liable. 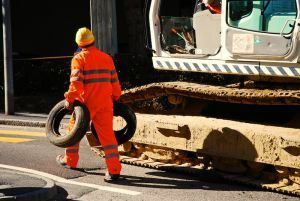 Now that joint liability extends to both contractors and businesses, any company that hires contractors to perform work on-site, is also required to provide workers’ compensation. Contractual arrangements can require that the coverage is provided by the contractor, but if the requirements are not met, or if compensation is denied, workers can pursue hiring companies for benefits. If you have suffered from a wage violation or you believe you were misclassified as a contractor, we can help. Our Orange County employment law attorneys have extensive experience in complex cases related misclassification, wage violations, and other labor law issues in California.